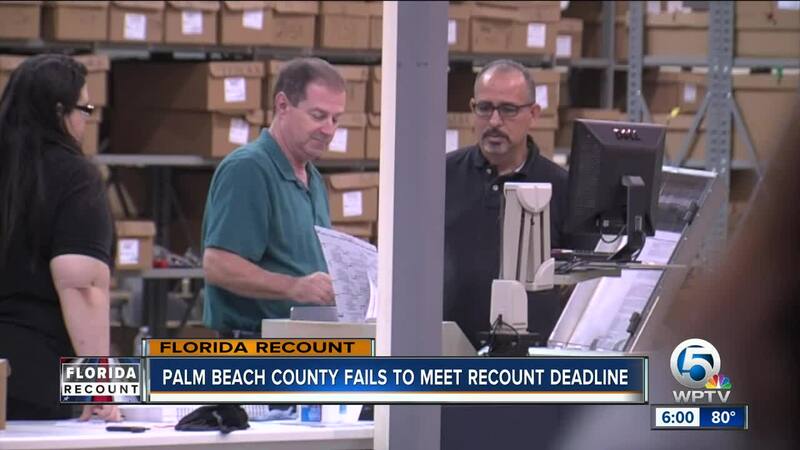 Palm Beach County Supervisor of Elections Susan Bucher said Thursday that the county failed to meet the 3 p.m. election recount deadline. Bucher said her department ran into mechanical issues that they inherited. She will now appear before a judge at 4 p.m. and ask for the deadline to be extended. Bucher said they were close to having ballots recounted in the state's highly contested Senate race, but their counting machines went down. When that happened, she says they lost some of the ballot count. 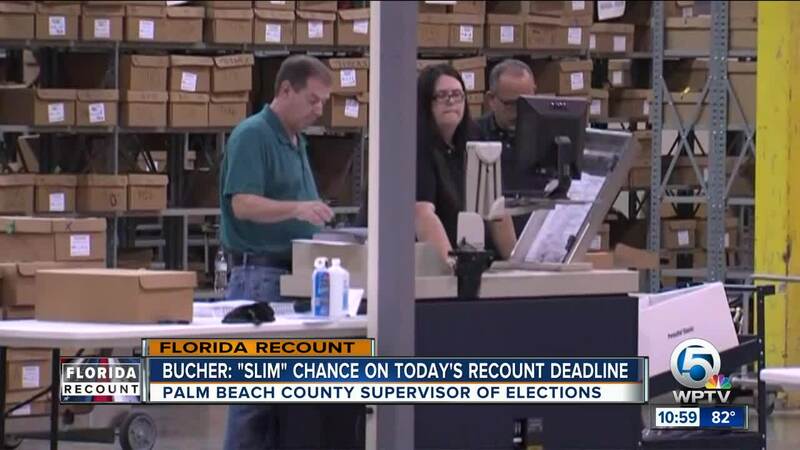 "What we are trying to do is we’ve identified the precincts where we are missing ballot counts," said Bucher. 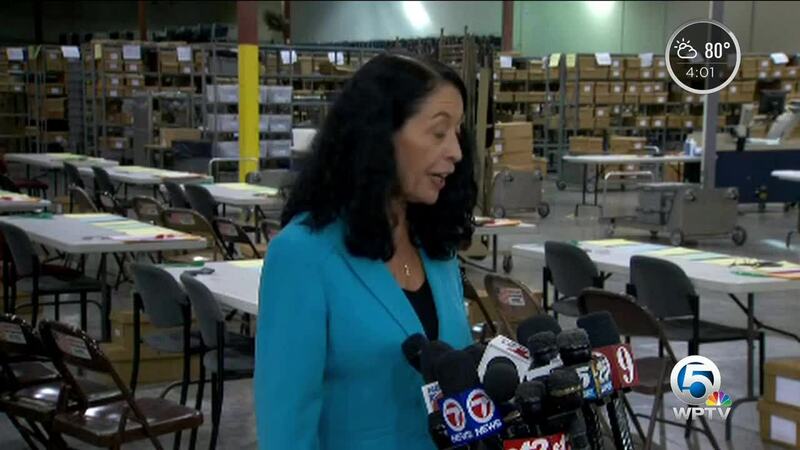 "And we run the operation in batches which means there are several boxes, and we’ve identified certain precincts that appear to have dropped certain boxes of ballots. And so I need my expert team, and these are all of my employees, not the county, because they are certified in operating this type of software. And what they are trying to do, they are trying to go back, look at the counts of each box and depending on how many are missing we can identify which box didn't read. And then we can read those ballots and add it into our tally." Only one machine is running during this process because Bucher says the work is so tedious that only the IT director can manage it. "As the supervisor I take full responsibility, that’s my job," said Bucher. "It’s as not for lack of human effort, the human effort was incredible and I thank everyone, but the fact of the matter is when there’s mechanical failures there’s not much I can do about it." 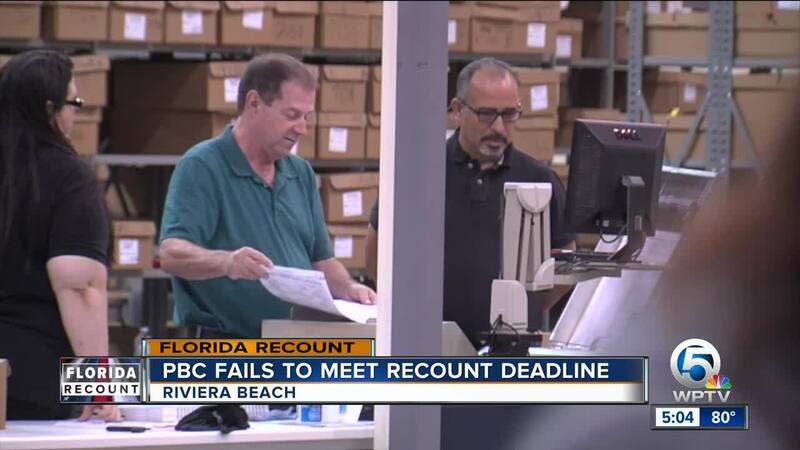 Bucher said earlier on Thursday that if they don't meet the 3 p.m. deadline, they’ll either upload the new Senate recount numbers if they get it complete, or they will have to use the certified results sent to the state on Saturday. They will also submit Saturday’s results for the other races like Governor and Agriculture Commissioner which were slated for recounts. If the margin of victory is less than .25 percent, then the Secretary of State will call for a manual recount. Those results will be due on Sunday.